South Korean actress, Song Hye Kyo (송혜교) attended the opening ceremony of the 17th Shanghai International Film Festival held at Shanghai Grand Theatre in Shanghai, China on June 14, 2014. 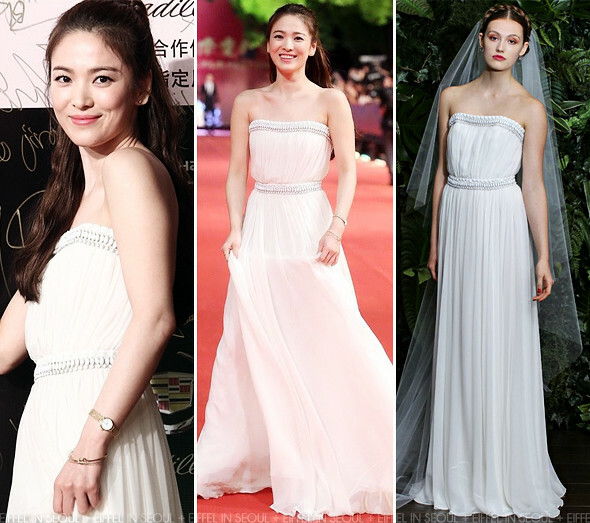 The beautiful actress wore a white strapless chiffon 'Mykonos' dress from Naeem Khan Bridal Fall 2014 collection. Her look was completed with Chopard accessories.